Never has there been an easier time to take comments out of context. This very medium that I'm communicating via right now is the perfect example - at the end of this article is a snippet of another article that has given me the inspiration to write this piece. But the likelihood of you - our treasured reader - actually clicking through to that article, reading the full piece, and then clicking into each of the articles that it refers and hyperlinks to, to get the full context of the story is, unfortunately, very low. Social media kicked off and is only further embracing this notion. Why spend time understanding context, when someone's already so thoughtfully made a 140-character summary? There's a lot to thank for this new and lowered value of context - we spend less time fact-checking, we invest less headspace in calculating all the possible back story scenarios, and there's less pressure to have tangible arguments behind big sweeping statements (particularly valuable to those of us who love a bit of dramatic effect). However, the obvious downside, is that this all leads to higher volumes of unfounded and unreliable 'news' and, arguably, the rise of what we now call 'fake news'. It also leads to the wealth of knowledge among experts like Bernard Salt (referenced in the article below) being wasted on clickbait, instead of findings and insights that could be boosting entire economies. Despite us all growing more time poor by the day, it's important we each make the effort to invest in discovering and unwrapping the context behind everything we read, say, and hear. Otherwise, we may as well succumb right now to a future of never actually knowing what's happening in the world. Judging by comments on our website, the piece was received as intended during the weekend. 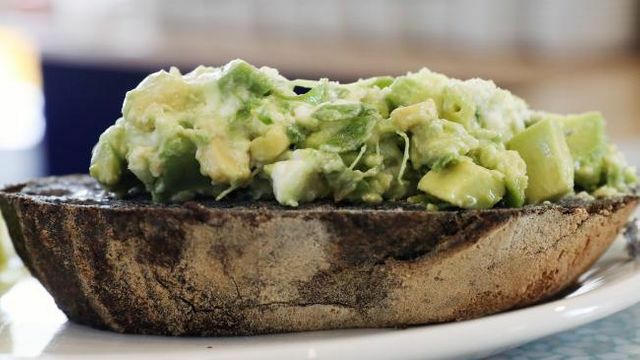 But at 6.27am on the Monday, a news organisation tweeted that “Bernard Salt says he’s seen young people eating smashed avocado at $22 a pop, and shouldn’t they be saving for a house? Thoughts?” I saw that tweet go live and tracked — painfully, at times — what unfolded over the following week. ‘Cracks included “I stopped eating smashed avocado … and now I own a castle”’. Yes, I did write those words, but they were used to make fun of middle age, not to chastise youth. The real intent can be seen in any fair reading of the column in its entirety. But Twitter is a black and white medium; it cares nothing for context.